I get the most amazing emails from readers of The Memory Code. I wish I was more diligent in sharing them here. 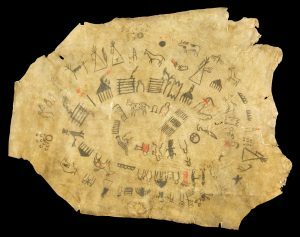 This week brought in a fascinating reference to the wooden carved maps which were used by various Inuit cultures in Greenland. As he visualized paddling along the east coast of Greenland in an umiak, Danish explorer Gustav Holm held in his hand generations of navigational know-how. 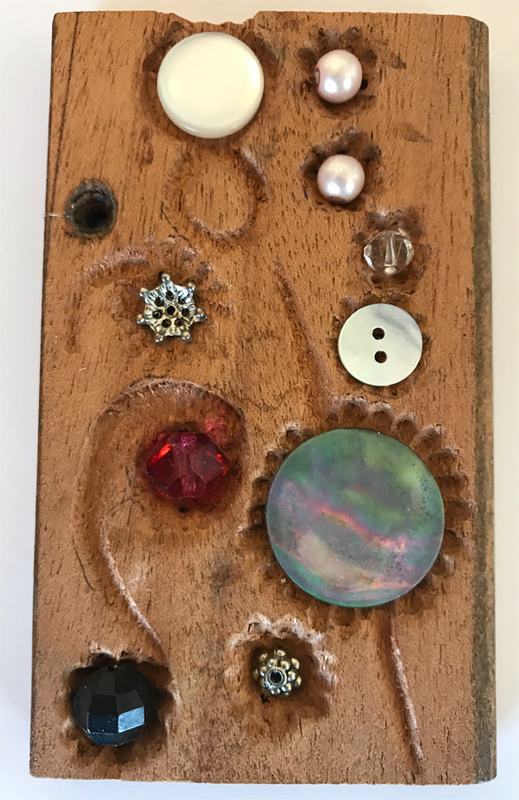 It was the 1880s—long before Siri and satellites were around to lead the way—and Holm was palming a chunk of wood about as long as an iPhone 7. Carved by a Greenlandic Inuit man, this precious piece served as a tactile map, its toothy edges representative of the fjords, headlands, and obstacles of the unforgiving coastline. As Holm ran a finger along the map, he felt a semicircular groove—a sign that he and his party would have to go overland with their boats if they made it that far north. This was just one of several subtle cues he could glean from the map that would help make an exploration safe and successful. 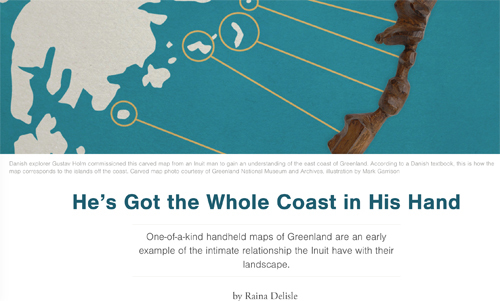 As Holm observed, the Tunumiit people of eastern Greenland had a sharp eye for nature and could accurately describe a place they had visited once, even 20 years earlier. The man who produced the carving was especially skilled, and created two others that accompanied it. A knobby stick about as long as a Super Big Gulp straw represents the islands off the coast, and a thicker, wand-like carving corresponds to a peninsula, with ridges and mounds that mirror the relief of the mountains. Unfortunately, I have no idea how long a ‘Super Big Gulp straw’ is. I remember reading about these devices when I was doing my PhD research and marking them as one of the hundreds of must-get-back-t0 topics. I have the references still, so I will get back to them thanks to this reminder. I am also certain that the Inuit associate songs and further knowledge with their wooden maps. If anyone knows more, please let me know! Kyle has been writing to me about his own experiments with the memory devices described in The Memory Code. 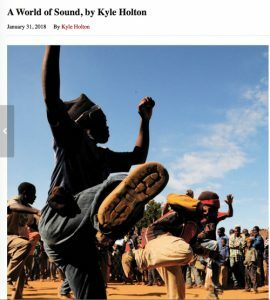 I was intrigued to read his interpretation of the influence of colonisation on oral tradition from his first-hand experience of the Yao in Mozambique. For eight years, I lived in a village called Nomba among the Yao people in northern Mozambique. They were a semi-oral culture that used language like a tailor uses needle and thread. Conversations were stitched together with mythic allusions, parables, and aphorisms. Banter was an art form. Libraries of knowledge existed in the heads of the elders. 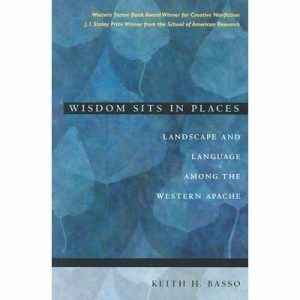 Ancestral lines, wisdom, and folk stories were sung. The memory and knowledge of their culture was passed along through song recited during religious festivals and rites of passage. Specialized knowledge about farming, foraging, and medicinal and cooking recipes was archived through oral traditions. To read the whole article click on the image or here. I get wonderful emails from readers of The Memory Code. 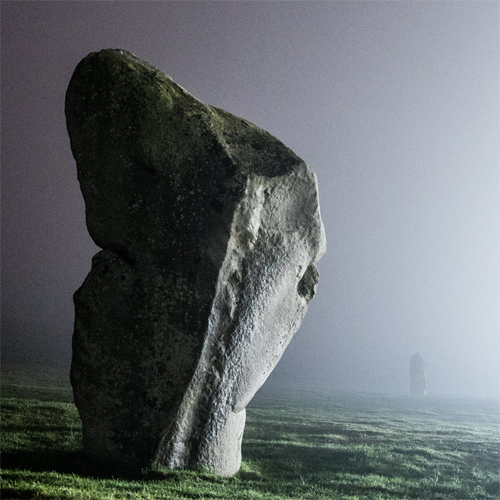 One of them not only talked about one of my favourite places in the world – Avebury Henge in Wiltshire – but included the best photos I have ever seen of these stunning stones. What I love is the way David Baldwin’s photographs show how different each stone is from the next and how perfect they would be to provide a set of distinct locations to encode information. David talks about ideas that the Neolithic builders of Avebury may have altered the stones, which would be totally logical if you accept my ideas that the stones act as memory locations encoded with pragmatic information. That doesn’t mean that I agree that such alterations have been made. I don’t have the skills to judge and will leave the debate to the experts. But it is interesting to consider this possibility while you look at stunning photographs of the magnificent stones. 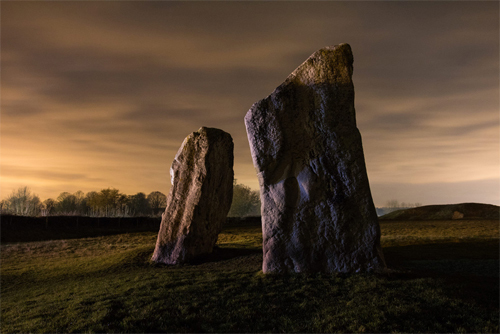 I live in the UK near Avebury, and I am about a third of the way through a personal photographic exploration of the site at night. 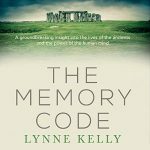 To help me with this I have read as many books as possible about Avebury, and I often think of yours, The Memory Code, as I examine the megaliths. 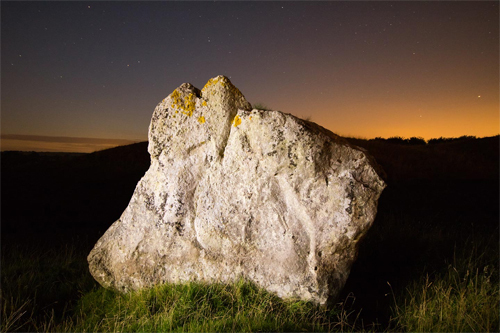 As I am sure you know, there is a good deal of controversy as to whether the Avebury stones have been edited by our ancestors, in particularly whether there are faces in the stones. My own position is that there are clearly lots of natural shapes that resemble faces, but that there are also clearly artificially shaped stones. I am not an archaeologist, but I feel that I do have skills in recognizing patterns, so that a good deal of my photographs have the faces as subject matter. As a lay person it seems to me that the idea that the stones have been subtly carved to record various mythological figures fits in really well with your ideas that the ceremonial landscape was encoded with tribal knowledge. Not only where there ceremonial areas with exclusive access, but as Professor Terence Meaden has pointed out many of the stone faces themselves may only have been known to initiates, another form of exclusivity. 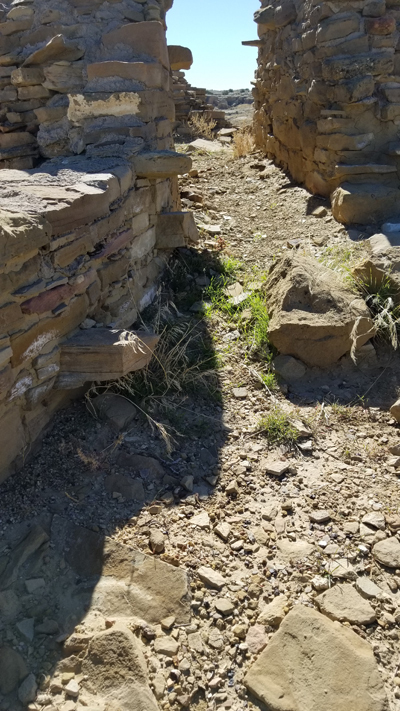 The idea that the stones have been altered isn’t academic orthodoxy (in fact it is a little toxic I think, for example, archaeologist Aubrey Burl in his Yale book suggests that you need to be drunk to see them. 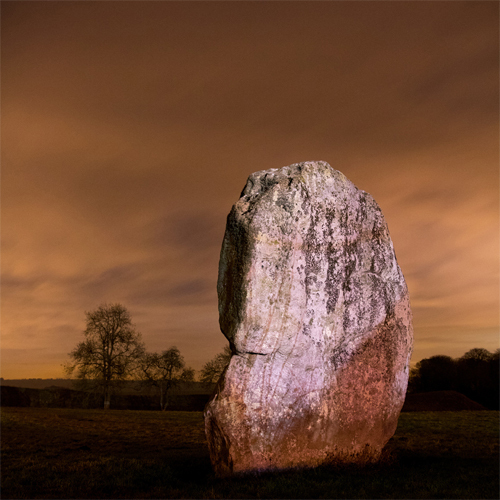 He considers Professor Meaden the authority, in particular in Meaden’s book, The Secrets of the Avebury Stones. Meaden has been reviewing the stones for around 30 years I believe, and I see my photographs as following in his footsteps, although unlike him my motivation is mainly artistic! I was delighted to win the Senior division (over 60) of the Australian Memory Championships as run by the IAM (International Association of Memory). Anastasia Woolmer (AUS), Chris Griffin (New Zealand), me (AUS) and Takeru Aoki from Japan. The International event was won by Liu Renjie of China closely followed by Kwon Soon-Moon Orissam of South Korea. 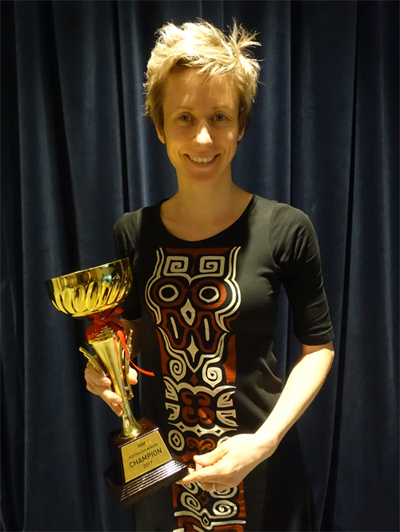 The Australian National title was won by Anastasia Woolmer for the second year in a row. 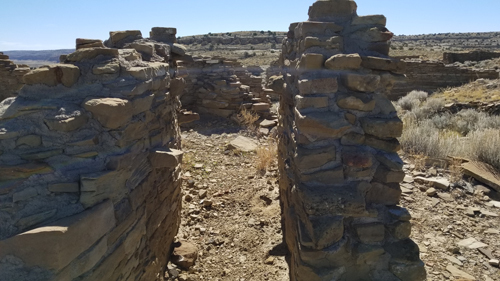 Nowhere I visited during the research for my PhD and two subsequent books had an impact on me as profound as Chaco Canyon in New Mexico, USA. Standing inside the largest of the Great Houses, Pueblo Bonito, was awe-inspiring. Great Houses were massive buildings many storeys high and of the most astounding stonework. But they weren’t primarily ‘houses’ or residences. 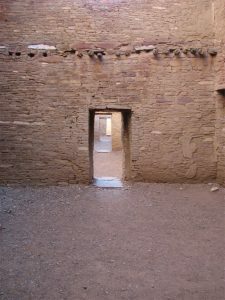 Chaco was a ceremonial centre – a place where knowledge was imparted and maintained for the extraordinary Ancestral Pueblo culture. I didn’t see nearly enough of the Canyon in my much-too-brief visit. I didn’t visit the Great House of Penasco Blanco which was constructed in stages from around 900 to 1125 AD. Dates are pretty accurate in the Canyon due to the atmospheric dryness which preserves the wood thus providing excellent chronology from it, known as dendrochronology. Retired US educator, Dr Sarah (Sally) Wither, wrote an intriguing email. Below are Sally’s photos. She sent higher resolution, so more detail is available. I cannot make any judgement on the idea, but it certainly makes sense. 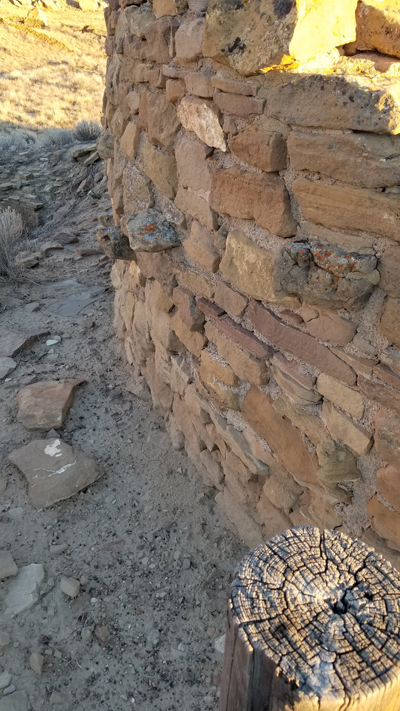 I’d love to go back there and talk Sally’s question over with the South-West Pueblo people and archaeologists. Images of Penasco Blanco. (c) Sarah Wither. It was one of those ‘why didn’t I think of that?’ moments. Julia Adzuki had taken the concept of lukasa and danced her own direction. 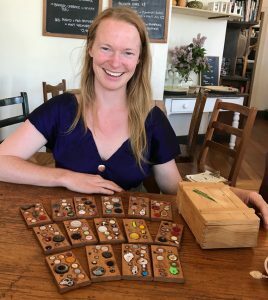 It was a very excited few hours over lunch when Julia, visiting from Sweden, demonstrated her unique take on the memory boards of the West African Luba people. Known as lukasa (plural nkasa), these boards had delighted me for their beauty and astounded me for their efficacy ever since I first heard of them a decade ago. I use my Victorian Birds lukasa all the time, but know it so well that I don’t need it physically with me. 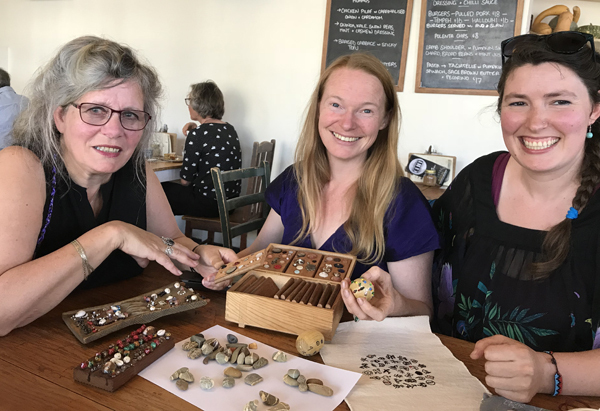 Above: Julia Aduki (centre), Alice Steele (right) and me at lunch with our versions of traditional West African nkasa and other memory devices. Alice has been making nkasa in various forms for well over a year now. She even has her three year-old son learning his acacia species with them. 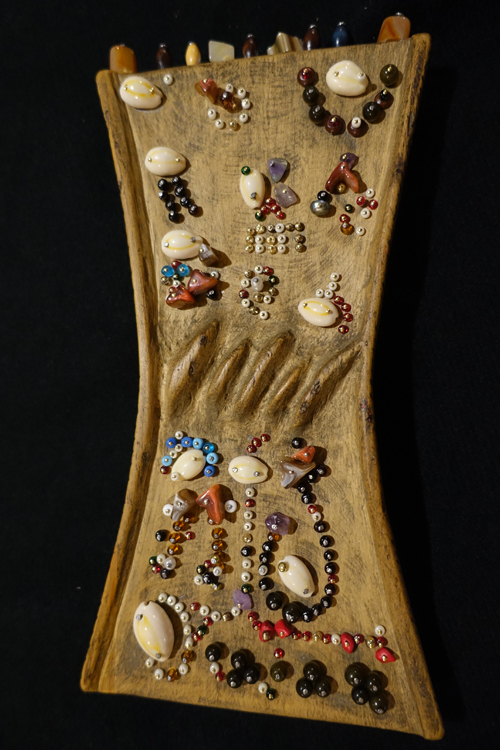 It is so cute when he says the scientific names for the plants, pointing to the bead on a little board. 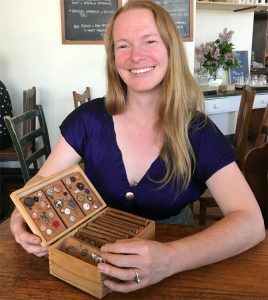 Having learned of lukasa from The Memory Code, Julia has developed a set of 15 boards which fitted magically inside a wooden box. She designed these nkasa to help her when she was training as a teacher of the 15 introductory classes of the Skinner Releasing Technique. [link to http://www.skinnerreleasing.com] This dance pedagogy uses guided imagery as an impulse for movement, particularly for dancers. Each class follows a script which types up to over 10 pages. Photos: Julia with her 15 nkasa and their box (click on images to see details). Julia first encoded the 15 classes in a landscape memory palace. She had trained in the technique in Turkey together with her friend, Deniz Soyarslan. As many of the images which are used within the dance classes make a reference to the landscape, the friends decided to practice the actual technique in the landscape near Tekirova. She and Deniz made cards of notes for all the aspects of each class they needed to remember in sequence. For Julia, the movements will always have a home in that precious Turkish landscape. Above: Nkasa 4 and 14. 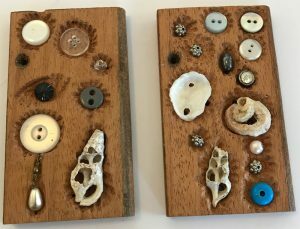 These two boards both have shells from the Turkish beach with the centre exposed. Julia chose these as they create an image of the spine for two movements which relate directly to the skeleton. Born in Australia, but having lived in a range of countries overseas, Julia described how her understanding of Aboriginal relationships to the landscape has changed since using the landscape is a memory palace. Last week I had the most exciting surprise. 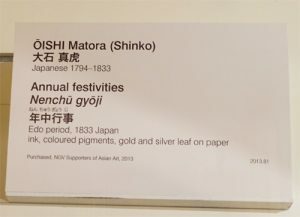 The National Gallery of Victoria (NGV) has a Japanese narrative scroll on display. I want to find out all I can about these gorgeous artworks. Please let me know if you can help! I am convinced a contemporary form of these artworks could be a wonderful memory device to use in education. 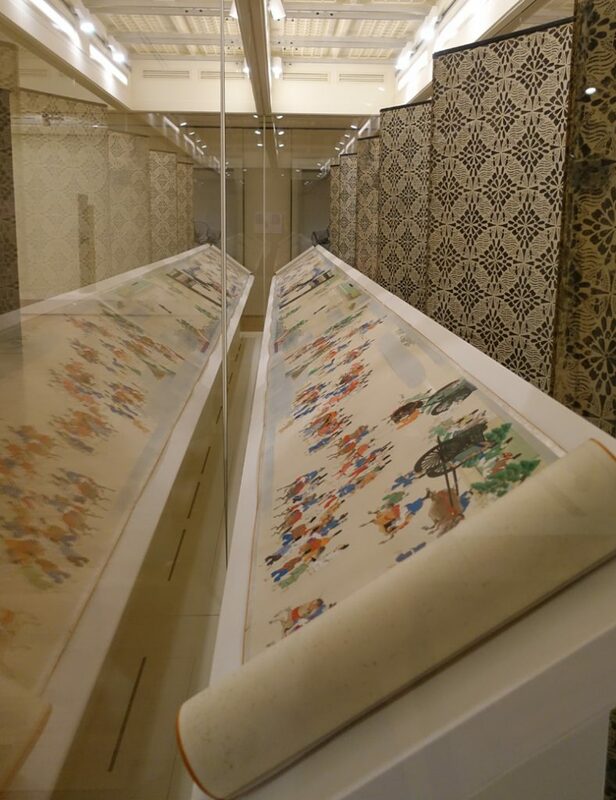 These long scrolls from China, Japan and Korea (that I know of so far) tell stories through the most gorgeous images. I remember from my studies in education and from experience in the classroom that mode shifts aid memory massively. A mode shift is basically taking information in one format and changing that format when recording it. That change forces you to engage deeply with the information. You can read and take notes without really concentrating, but if you have to change written information into images, or aural information into your own words, or written information into song, then you will remember it. I believe that changing information into a narrative in pictures would work a treat. There are some written annotations as well. The narrative could be done in quick sketches or, even more wonderfully, a beautifully illustrated scroll. I am planning to do a contemporary version as one of My Memory Experiments. Would these scrolls also work as a way to provide information to students in a highly memorable form? You really need to engage with them to know what is going on. The way these scrolls were once used suggests that is exactly the case. From the little I know so far, they were carefully preserved in boxes and brought out to be ‘read’ as they were slowly unrolled. All the detail makes them so intriguing, it would be bliss to study them. The NGV scroll is over eleven metres long. Below is a detail from it along with its little sign. There is a bit more on the NGV website. 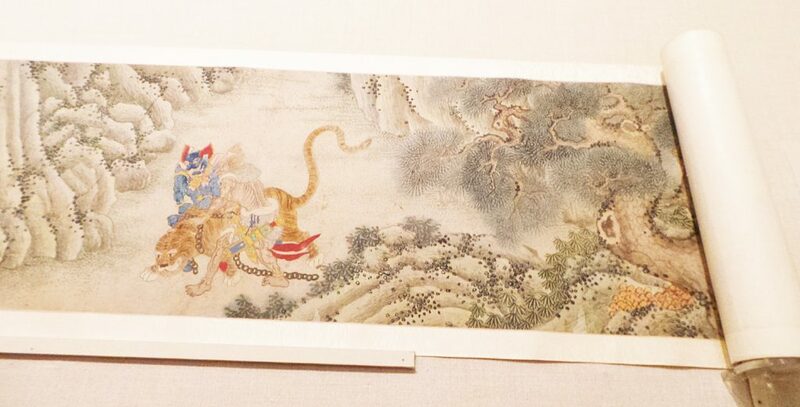 I first saw a Chinese narrative scroll, also called a handscroll, at The Metropolitan Museum of Art in New York about a decade ago and have been longing to find out more ever since. I saw them again in February and was more delighted by them than ever. 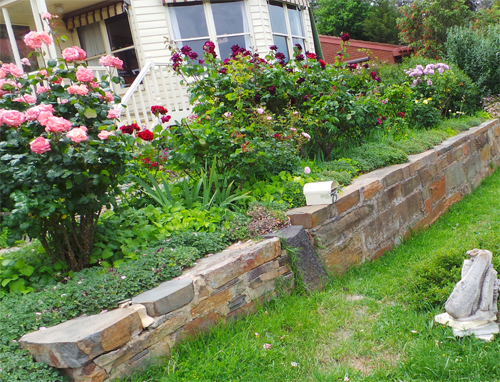 I had no idea we had one in Australia – I suspect there are more for me to stumble over. I sincerely hope so! I want to find out everything I can about these gorgeous items. If you know more or can point me to resources, please add a comment! I’d love to hear from you. Great excitement! I have just signed a contract with my publisher, Allen & Unwin, to do a new book. The working title (may not end up being the real title) is Unlocking the Memory Code. Publication date is probably early 2019. There is a lot of work to do first! 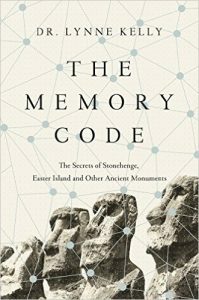 This book is all about using the most effective memory methods from across cultures and throughout time. It is all about how we can use these methods to enhance our lives every day. One of my great pleasures is encoding layer upon layer in my new lukasa, designed to record the history or writing. Ironic, isn’t it? 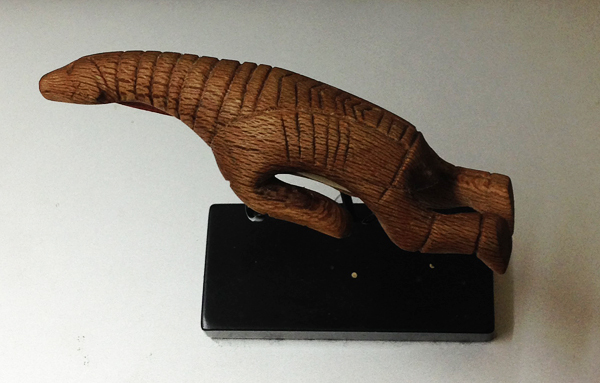 This beautiful object was made for me by Tom Chippindall. The vast majority of the emails and messages I receive are about the indigenous memory methods and how we might apply them in contemporary life. The extraordinary memory skills of our ancestors have been gradually lost with the invent of writing and even more so with the prevalence of information technology. Many readers are concerned about this and want to redress the trend by using their memories much more effectively. I am simply astounded every day by what I can memorise and the way I can then build on the knowledge which is so firmly grounded in the memory devices. I am able to see patterns and the big picture in ways which are just not possible without this basic knowledge at my fingertips. It is also wonderful fun! 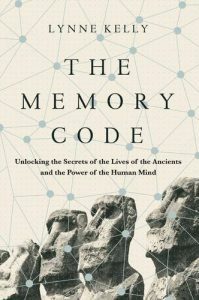 Throughout the book I will look at the changes in memory techniques over the millennia and discuss the possible impact on education and on memory loss with ageing. Recent research in neuroscience explains exactly why the memory methods of indigenous culture are so effective. I will report on the science and celebrate indigenous intellect. I will also emphasis how much everything is to remember when it is brought to like through stories and vivid characters. As indigenous and early literate cultures were masters of memory, so it is from them that we can learn the most. 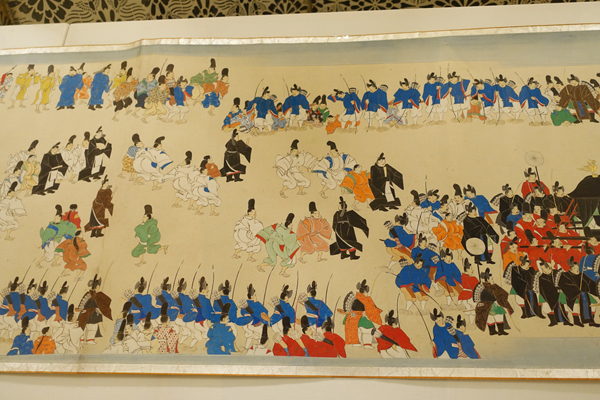 I am adding to the lessons from oral cultures discussed in The Memory Code to include medieval memory systems, ideas from the Renaissance and from ancient Chinese and Japanese handscrolls. I will also look at mnemonic tricks from contemporary times. The topics to be covered in Unlocking will include the most successful examples from My 35 Memory Experiments which have now been adjusted to reflect the questions I am most often asked. I am learning a foreign language (French) despite having failed dismally to do so at school. I am using a range of methods to memorise vocabulary and grammar and going really well. I have devised a system for memorising names and faces by adapting the concept of a medieval bestiary. I memorise temporary lists when we are out birding, going shopping or given verbally using a visual alphabet, adapted from those used during the Renaissance. I am continuing to memorise more details about all the countries in the world and constantly adding to my walks through pre-history and history. I use the field guide to the 412 Victorian birds from memory constantly as husband Damian and I go birding often. 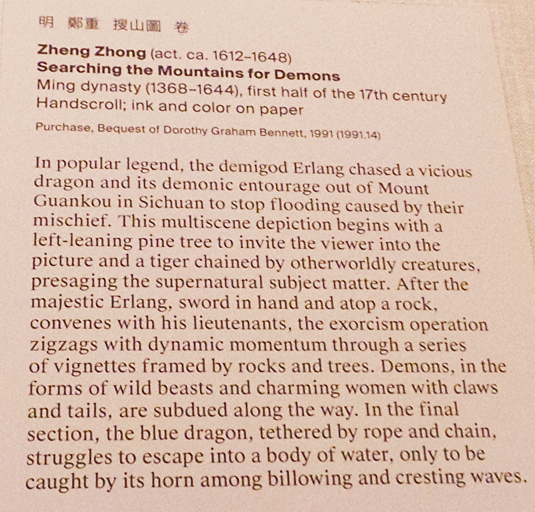 I am attending art classes every week to create the most beautiful contemporary adaptions I can manage of the bestiary, visual alphabet and Chinese hand scrolls. I am becoming addicted to everything about art, especially watercolour. I am using a version of the Inca knotted string khipu (quipu) to record the history of art. As many researchers suggest, the khipu is really nearer to writing than a pure mnemonic device. I am also creating a personal ‘winter count’ based on the stunning mnemonic skins of the Plains Indians of North America. 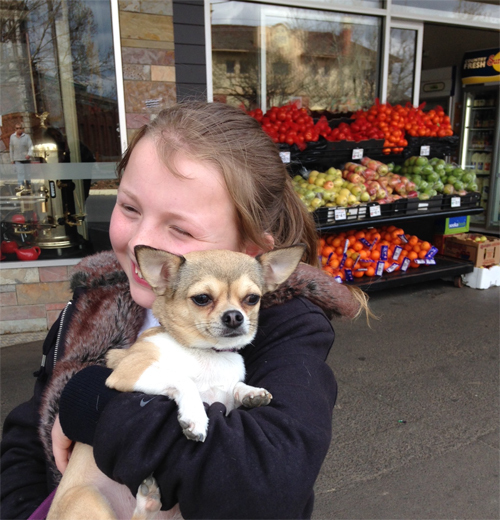 The one pictured below if the famous Lone Dog’s winter count. I am astonished how little of my life I could remember chronologically until I started this project. How much will this object help me hold onto my identity into very old age? And every day I train for the Australian Memory Championships. Being old (I’m 65) does not mean a fading memory. 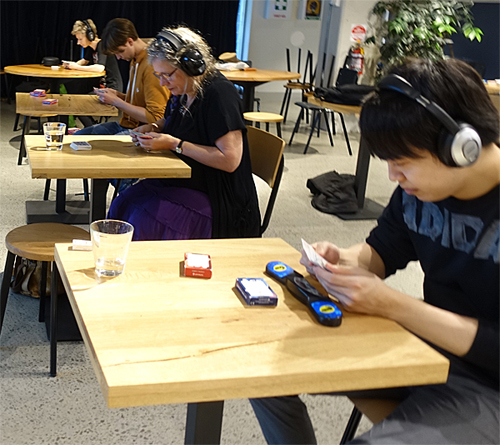 I can now memorise a shuffled deck of cards in 12 minutes – way down from the 35 minutes just a month ago. I can memorise long strings of random numbers in decimal and binary and many other useless but surprisingly enjoyable feats. Life is very good and I have all the readers of The Memory Code to thank! I receive fascinating emails every day from readers of The Memory Code. Every now and then someone goes a lot further. Rob Smith was one of those people. He carved an absolutely delightful polar bear in the manner of the Dorset of Igloolik in Canada, who lived between 700 and 2,500 years ago. And then he sent it to me as a present. How lucky am I? This story highlights the way indigenous art forms are so often assumed to be fantastical rather than critical objects of importance to rational knowledge. My bias is showing in this post! The tiny ivory plug holds the ochre in place which is stored in the small cavity in the bear’s neck under the wooden plug. Rob did an ivory plug as well, as some bears had ivory plugs. They would not have both at the same time. My little bear is 12 centimetres long. 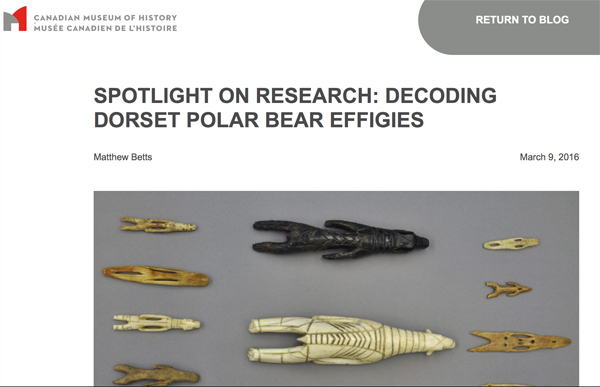 Writer and archaeology enthusiast from Toronto, Ontario, Eve Richardson, pointed me to the following report from the Canadian Museum of History about the Dorset Culture and their many representations of polar bears. I sent him multiple photographs of the carvings, and he quickly determined that the Dorset were depicting polar bears in natural poses — and, moreover, that almost all of the art showed polar bears in hunting stances related to stalking and hunting their preferred prey, seals. These insights were novel because previously the polar bear carvings had been interpreted as portraying bears in fantastical poses, representing “spirit” bears moving between spiritual realms. Some had even been interpreted as “flying bears.” What did this new information mean for the interpretation of Dorset spirituality? I believe the polar bear effigies may have been used to remind and teach the Dorset the proper methods of hunting seals — using stillness, stealth and cunning. The carvings may also have been used in a ceremony to draw hunting prowess from the effigies and the polar bears they represented, to increase the hunter’s chance of success. Given my personal bias, I want much more acknowledgement of the likely depth of knowledge of the bears and the environment encoded with the oral tradition of the Dorset Culture. I want the hunters’ likely increase in success to be linked to their ceremonies in which their rational knowledge and well-honed hunting strategies were conveyed. Meanwhile, my little Dorset bear sits on my desk to remind me not only of the intellect of indigenous cultures but also what wonderful readers I have! Niels Lynnerup, Jørgen Meldgaard, Jan Jakobsen, Martin Appelt, Anders Koch and Bruno Frøhlich, Arctic, Vol. 56, No. 4 (Dec., 2003), pp. 349-358.